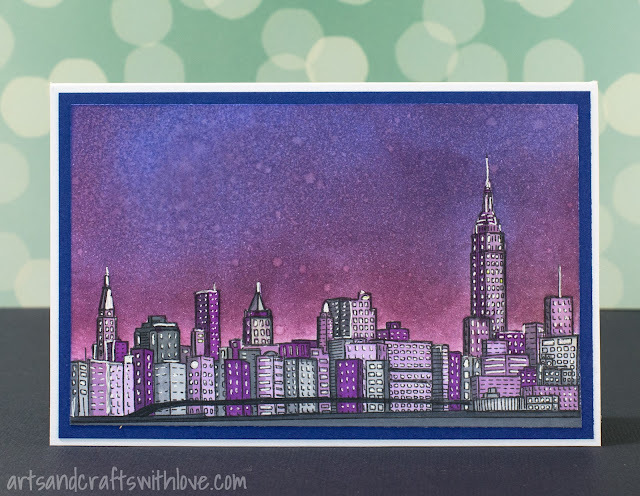 The amazing NYC skyline stamp in from Altenew- I love it! I started with stamping the skyline on plain white cardstock. 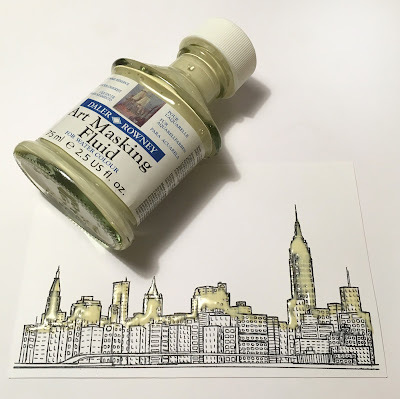 My plan was to colour the night sky with Distress inks, and for protecting the stamped buildings while colouring the upper part of the card I used masking fluid. After inking I misted a bit of water on the background, and once dry I removed the mask. 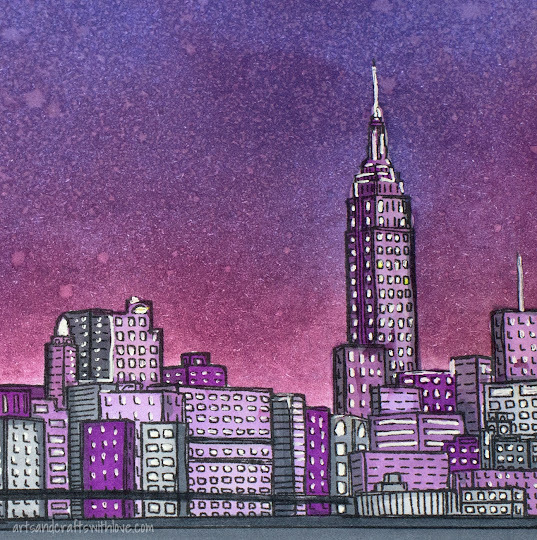 My idea was to use only a limited set of colours; pink, purple and a few greytones. The end result is not too realistic, but it looks quite the way I had planned. 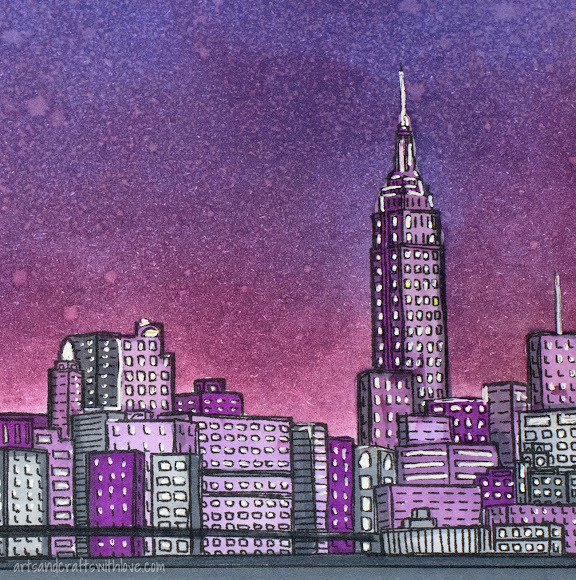 After colouring the buildings I highlighted the windows with a white gel pen, and the card was ready! Stamping, masking, inking and colouring. True pleasure!